2019 is here and it means new beginnings and the pressure (read 'resolutions') of doing something noteworthy. We've put together a list of resolutions that will help enrich your life. 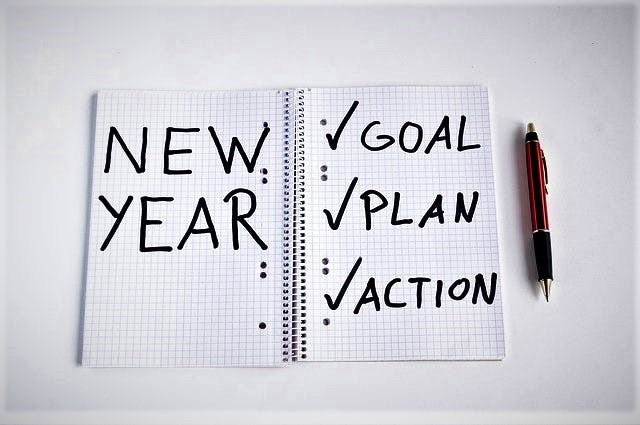 Here’s how you can make the new year count. Getting fit, losing weight and having a toned body is probably among the top 5 new year resolutions ever! There are many options in the city such as gyms that don't follow the usual outdated running machines. If you want something fun, go for a dance class (check here). Or get fit and pick up some kickass warrior moves with Kalaripayattu classes. Often called the 'mother of all martial arts', kalaripayattu is an ancient Indian martial art form and combat system that originated in south India. It's among the oldest combat arts forms and was used to train warriors for battles. Check here for details. You can even join up a surfing course on your next vacay. There are several around the southern coast (check here, here and here). Hey, you are in a city that's supposed to be high on culture, art and theatre, right? So take advantage of that this year! The city just saw the launch of a brand new art and culture space - the Kolkata Centre For Creativity. Visit this multidisciplinary interactive art centre spread across 70,000 square foot with five floors including a 10,000 square feet gallery space, and an Imagination Centre for kids conceptualised by author Devdutt Pattanaik that brings Indian mythology to life! Keep up with what's happening in the art world with visits to galleries (check here). Also, Kolkata has many cafes that showcase (and sell) works by budding artists (check here). From heritage sites to narrow gullies – rediscover your city from a new perspective with a slew of walking tours organised by city-based outfits. Ever wanted to see the city by night? The Midnight Heritage Tour of Kolkata by Let Us Go will let you do just that (check here). If espionage and crime fictions are your fodder in your spare time, then the idea of donning a sleuth hat and going around old Kolkata's prominent crime scenes would be an enticing one. Heritage Walk Calcutta (HWC) has curated a walk that will make this real for you! Check here. If there's anything that 2018 taught us, it's that humans are seriously messing up this planet with the way we consume, the amount of toxic stuff we use, the number of cars, and more. To change and turn the planet around, people all over the world are making changes in the way they live their lives. You can too. First, resolve to consume less and be a responsible consumer. Pick up planet-friendly foods that don't use harmful chemicals (check here), get clued into the sustainable fashion movement (check here and here), join workshops that teach you how to compost or grow your own kitchen garden (check here). Kolkata has plenty of organisations that need an extra set of helping hands. Whether your concern is for human rights, gender, communalism, animal rights, there are many ways you can give your time to improve lives. So go ahead, get involved, and give back to society. For ideas on where to sign up, check here and here. 2018 was a landmark year for LGBTQIA rights with the regressive Sec 377 being finally chucked out. Join in and celebrate all kinds of gender identity - there's lots happening in Kolkata. Hit up Amra Odhbhut Cafe, set up for the LGBTQ community and its allies, it aspires to be a safe space that can give queer narratives a platform and visibility that the community feels comfortable with. The pop-up cafe and their events have grown to be a very popular and colourful Kolkata social space. You can expect an evening filled with stories, laughter and community building. Then there's the Pride Carnival coming up in January, the Goethe Institute will be hosting a Pride Film Fest soon. And pink it up at the Kitty Su party nights at the Lalit Great Eastern (check here). Limit the time spent on your phone screen and laptops and pick up a book instead. According to several scientific studies, reading regularly will do wonders for your brain, and mind. Reading stimulates many different parts of the brain. It doesn’t just make a fleeting impression, but makes long-term positive changes and is also a great exercise for your brain. So go ahead, and make this one of your top resolutions (of course, pick the right books!) Check here for a list of great bookstores in Kolkata. Turn up for all the literary fests that are coming up in the city.